Today we’ve got the first of another fresh new batch of records from Goodbye Boozy in Italy. By now you should know the drill here. 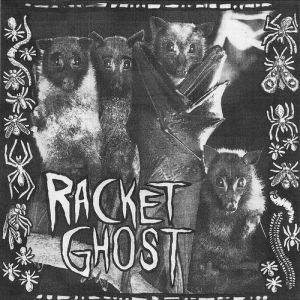 We’re going to start off with the debut 7″ from Lansing, Michigan’s RACKET GHOST. Someone said this before and they really hit the nail on the head, but it’s still a mystery how the Italian-based label always manages to find the best new bands from the US. They’re always dropping a killer new 7″ from a brand new band that nobody saw coming, and that’s basically the story again with this Racket Ghost stuff we’re hearing today. “Beech Party” boasts bluesy, high-voltage guitar soloing and an overall grainy, gritty complexion, leaving little room for reverberating bass lines and punchy percussion, but they manage to cram it all into one scuzzy mix that will surely blow your speakers. Despite all the crumby lo-fi qualities, the guitars are bright and jangly underneath the filth, warranting the name “Beech Party” with a sunny, uplifting attitude. “Watch Me Move” pushes on with the same shredded guitar jangles, driven by a tinny, shuffling rhythm that eventually splits off into a straightforward and bluesy guitar explosion. It’s the kind of finale that will have you cringing in delight from the sheer metallic intensity that swallows the song, and boy does it leave a mark. 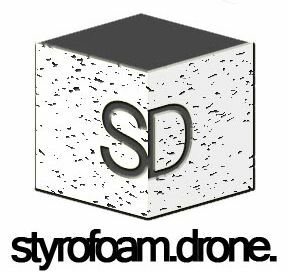 Posted on April 2, 2013 by styrofoamdronePosted in 7", Reviews, Still Spinnin'Tagged garage rock, Lo-Fi, pop.